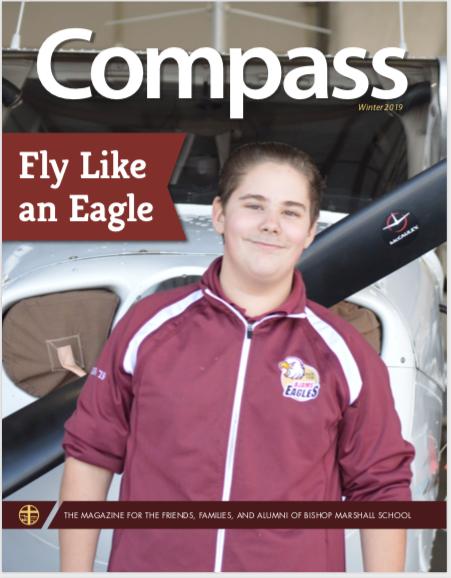 BJAMS students are exposed to second language learning at an earlier age than their public school peers. In addition to setting our academic program apart from other schools, second language learning has been shown to enhance children’s cognitive development. Children who learn a foreign language beginning in early childhood demonstrate certain cognitive advantages over children who do not. This effort is focused on French classes in grades kindergarten through eight. 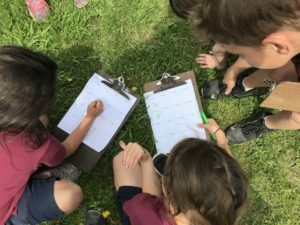 First graders take part in a French scavenger hunt outdoors in the spring. Students learn French vocabulary from a variety of topics, including greetings, classroom objects, animals, food, family, colors, and numbers. Students learn best through a variety of activities and some of our favorites have included scavenger hunts, online games, filmed skits, bingo, songs, Pictionary, and board games all in French. A great benefit of our language program at BJAMS is that we can build upon our learning year after year! Please visit my website for periodic updates on what we are learning.